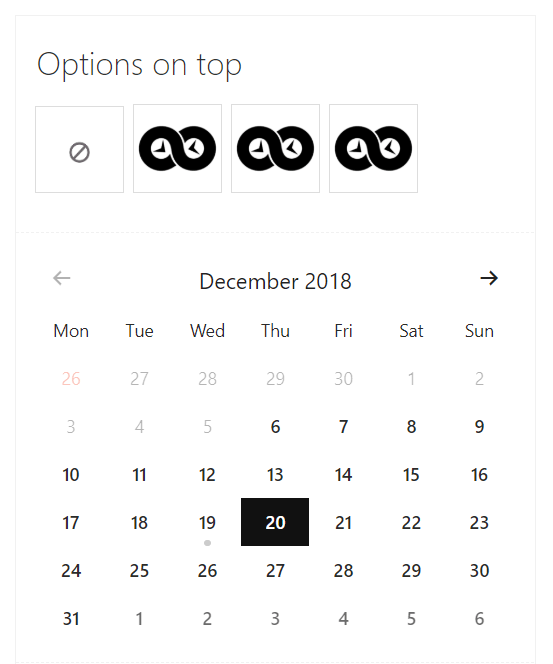 Add-on fields integrated into Appointments plugin have become much more powerful. 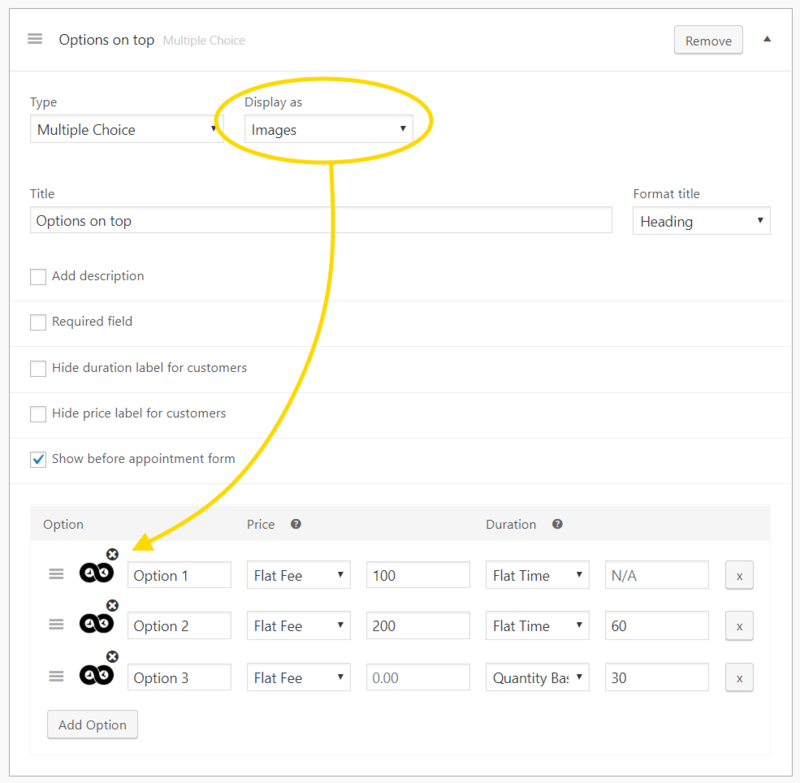 Besides improved design and better compatibility with the Gutenberg editor, you can now use images for options and use negative values for add-on costs and duration. Besides regular check-boxes, drop-downs and radio buttons, you can now add image swatches as options instead. This is great if you want to offer choice of colors or offer choice of material goods in a photo. You can now offer add-on prices and duration as negative values. This way you can offer discounts and also give shorten appointment duration if you want. Cost never drops below zero (0) and duration never drops below minimum, defined inside general product settings. Previously, add-on cost and duration was always multiplied by the quantity scheduled. You now have option to offer both as flat fee/duration that always stays the same, regardless of quantity booked.